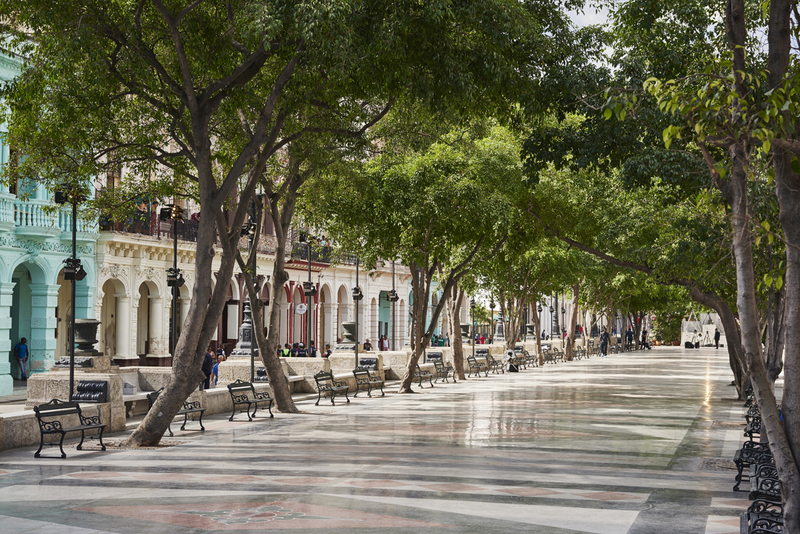 Paseo del Prado dominates one of the most popular and well located streets in Havana. All along its extension, we can see some of the most interesting places in the capital for their history and heritage values. It starts on Malecon, just by La Punta Castle, and almost two kilometers from there it ends, in front of the beautiful art work known as Fuente de la India (Fountain of the Noble Indigenous Woman), next to Parque de la Fraternidad (Fraternity Park). In the surrounding area there are the hotels Parque Central, Sevilla, Telegrafo, Inglaterra; and the magnificent Grand Theater of Havana Alicia Alonso. It was built in 1772, under the Spanish government of Marques de la Torre. The city was growing and it needed a promenade outside the city wall. Soon it became in the heart of the social life of that time, and its name changed successively a couple of times: “Paseo de Isabel II”, “Paseo de Marti”. The inhabitants of the village never renounced to call it “Prado”. Today it stands as a pedestrian area covered with trees, stone and marble benches, decorated with cups and corbels, and beautiful iron streetlamps. But its main symbols that became the symbol of the city are the eight lions made of bronze that guard it, made with the bronze of cannons that once protected the city against the pirates. 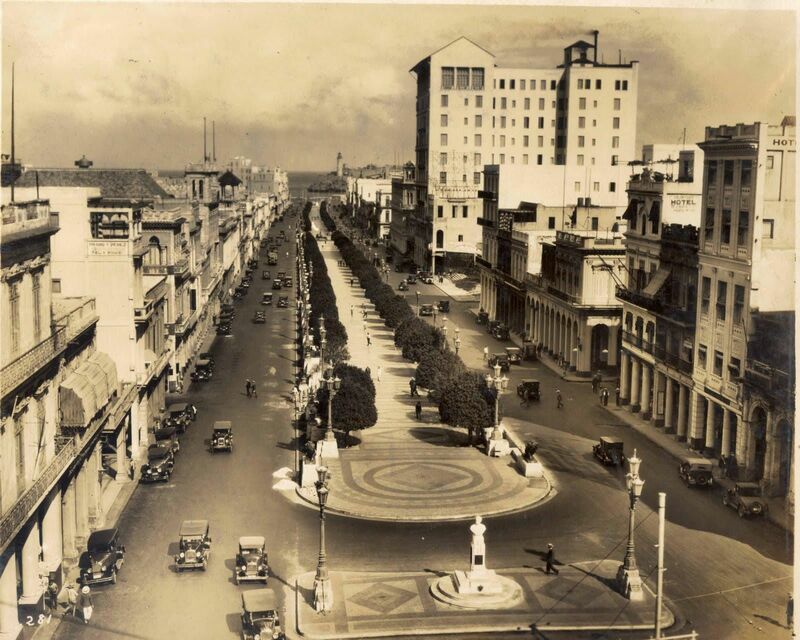 The oldest part of the road is between Malecon and Neptuno street, on the corner of Havana’s Central Park. What we see today was remodeled by Jean Claude Nicolas Forestier in 1928, he who once was the chief decorator of the gardens, promenades and parks in Paris. Decades passed and the “Kaiser of Fashion”, Karl Lagerfeld, head designer for Chanel, landed with a entourage of models at Prado. He came wearing a sequined jacket and gloves. The models were showing the collection “Cruise 2016-2017”, made of fine materials, embroidered by hand and with a minimum value of 2,500 USD. It was one evening of 2016, and the grand avenue turned into a world fashion center. 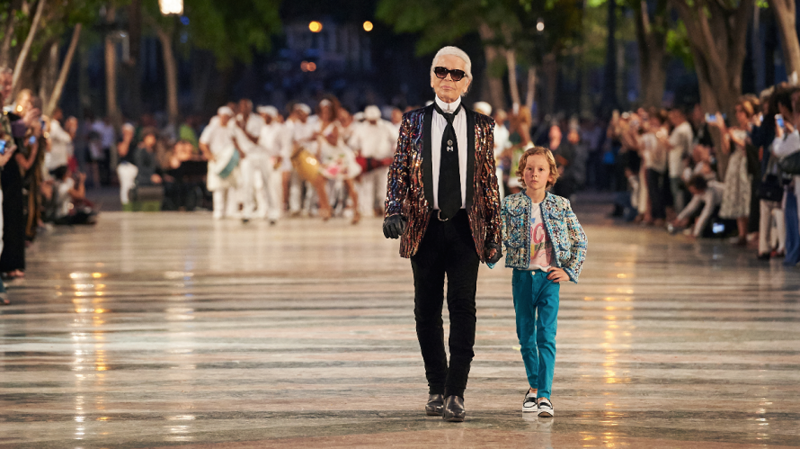 Karl chose Cuba as the first place in Latin America where he made one of his shows. Dozens of classic cars took the delegation from the mythical Nacional de Cuba Hotel to Paseo del Prado.